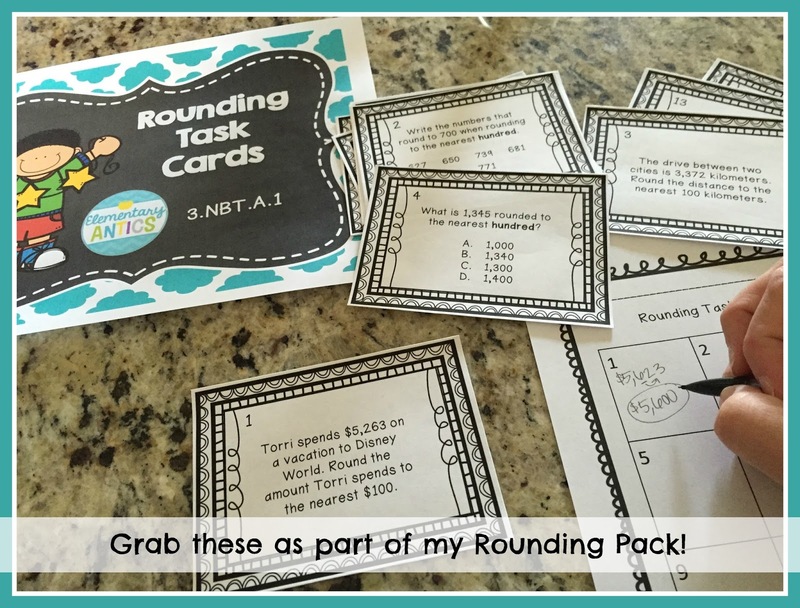 Rounding and estimating was always a harder concept for my new 3rd graders. We usually started off the year with place value and rounding was part of that. 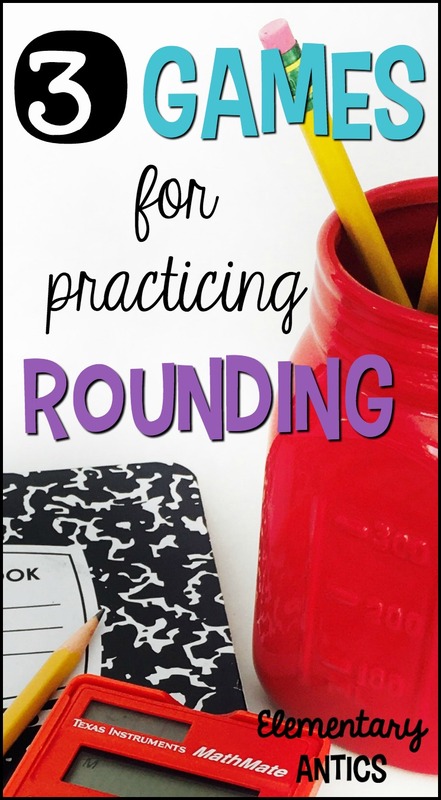 I used the "rounding rhyme" and that helped some kiddos. I used number lines and helped more of them. We did it over and over. But, let's face it, it's a little on the boring side. So here are 3 games that will hopefully spice up rounding practice for your students! 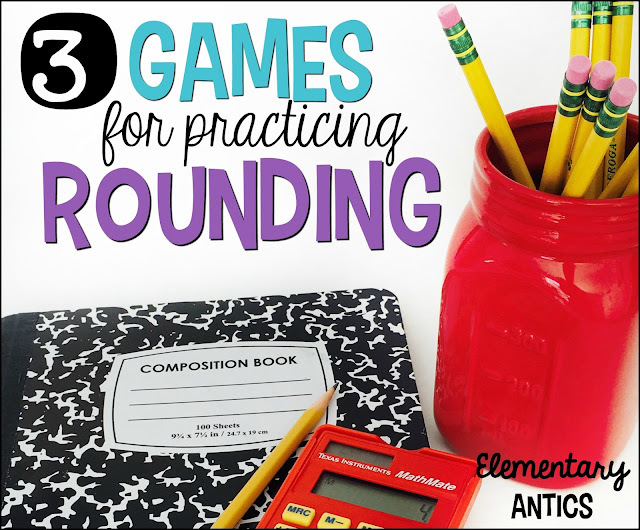 When I used math games in my classroom I almost always modeled the game as a fish bowl activity (played it with everyone watching/participating) or taught it in a small group first. Then, we usually had a work time dedicated to playing it while I circulated and helped students as needed. Eventually, the game could go into a center or rotation, or be used for early finishers. You'll need number cards (grab my number card freebie) or regular playing cards with the face cards out for this game. Split the deck into two piles (one for each player). Each player will turn over 2 cards (or 3 for a 3-digit number, etc.). Each student rounds their number to the nearest ten (or hundred, thousand...). Whoever has the biggest rounded number wins- just like in real war! (If there is tie, they play again.) The winner takes all of the cards for that round and they keep playing. The player with the most cards at the end wins the game. 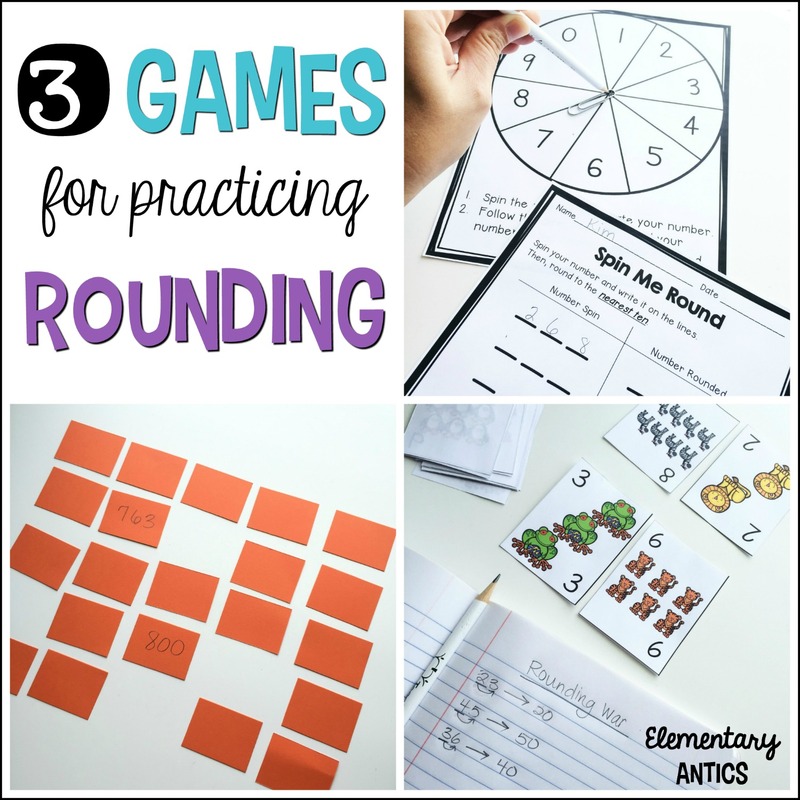 I like my kiddos to record something when they are playing a math game (especially at the beginning), so I made a Rounding Wars recording sheet that they can use. They can always just record on a sheet of notebook paper or in a math journal, etc. Give two players each 8-16 index cards (or cut up cardstock- anything works) each. You can decide how many cards based on ability/time/etc. Have them write a number of their choice (2, 3 or 4 digit) on one card. On the next card they will write the number rounded to the nearest ten, hundred or thousand depending on what you want them to practice. Have each partner check each card for correctness. Do this until all cards are done. Mix up all the cards and lay face down in equal rows. Now, play the game like memory. 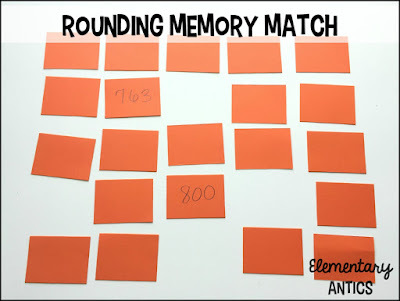 One player will pick a card and then try to pick the matching rounding card. When they get a match they keep the cards and go again. Not a match, they turn them back over and their turn is over. The game is over when all the cards are gone. Whoever has the most cards wins! This would be a great game to play in a small group where you can really hone in and help round those numbers when the kids are making the cards. 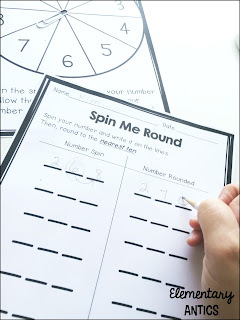 In this game, your students use a spinner to spin a 2, 3 or 4 digit number. They record it and then round it. This can just be a hands-on practice they can do independently or it can be done with a partner. 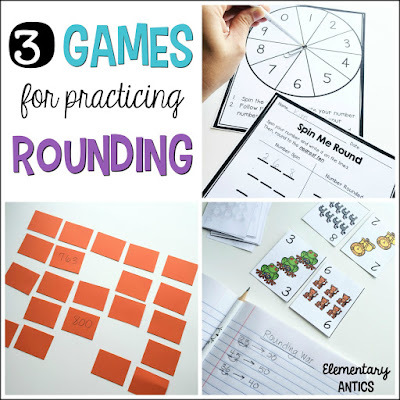 If they are working with a partner, it can be more of a game- where they record the number, round it and whoever has the biggest (or lowest- if you want to change things up) number wins that round. They can put a little star or check mark next to that round on their recording sheet and the person with the most stars on their sheet at the end wins. I also would have their partners be checking them as they played that they are rounding correctly. I like them to be recording something too, because I can always look at this and see if they get it or I need to stop and sit and play with them for a bit. 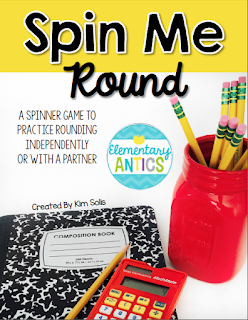 Grab this Spin Me Round freebie and use it as a center or small group practice with your kiddos. If you need some more ideas for practicing rounding in your classroom you might like my Rounding Pack which has a variety of worksheets for practice and task cards that would be another great math center!